The window light in the brides room at Thorndale Oaks is my favorite. 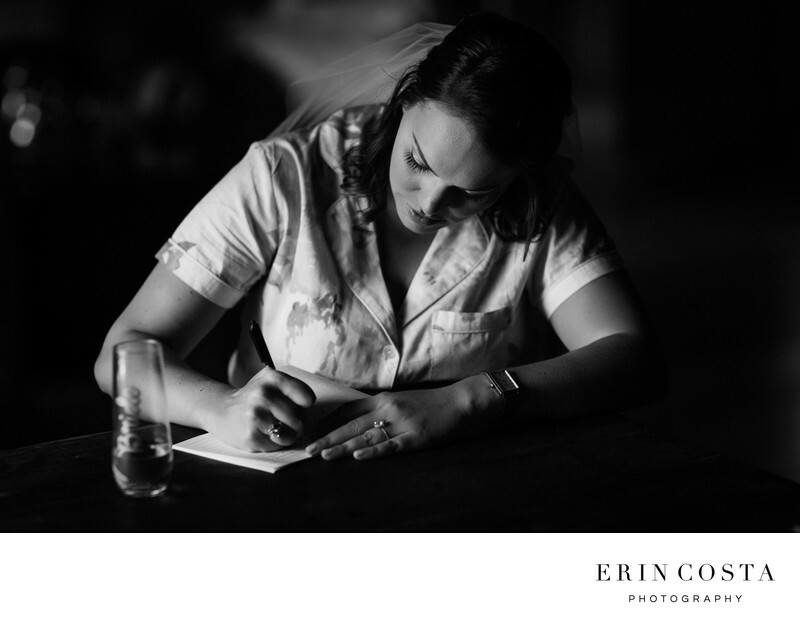 This black and white image of Laura in her wedding veil writing a letter to Adam is beautiful and timeless. Location: 105 W Quail Ridge Rd, Oxford, NC 27565.